This curriculum is designed to provide classroom, lab and “hands-on” training in the residential construction and remodeling fields; with particular emphasis placed on the fields of carpentry, millwork, masonry, interior and exterior finishes, and roofing for entry-level positions in a number of areas. The Combination Welding Program is a series of comprehensive courses to provide graduates with a well - rounded background in various welding applications and techniques based on ASME and AWS specifications. Students will be prepared to participate in a variety of projects with a reasonable chance to pass qualification tests. This program provides the training for entry level employment in many facets of the welding field. The objective of the commercial truck driving course is to qualify students for entry level positions as drivers in over-the-road or local driving vehicles. The focus of the course is on basic information about trucks, truck driving, and the trucking industry and the fundamentals of operating trucks and tractor trailers. No prior education or experience with trucks is required. The student, however, must meet the driver qualifications set forth by the Federal Motor Carrier Safety Administration (FMCSA) and pass the physical examination requirements set forth by the Department of Transportation (D.O.T.). Graduates will have the ability to diagnosis troubles and disassemble diesel engines; replace pistons, bearings, gears, valves and bushings; install ignition systems; replace steering/suspension components; replace transmissions and parts; lubricate moving parts; diagnosis problems with and replace chassis assemblies; repair undercarriages and replace and repair pneumatic or hydraulic brake systems. These skills will be taught in both classroom and lab environments. This program is designed to provide students with entry level knowledge and skills to install and service electrical applications within the residential/commercial and industrial fields. The program covers in practice and theory residential/commercial wiring, machine control, programmable controllers, telecommunications, solid state, and electronic control. Graduates of this program will acquire the skills necessary to operate a variety of light/heavy equipment used in the construction and transportation industry. In addition the graduate will be trained to drive a tractor-trailer in order to take the Class A Commercial Driver’s License Test. Through a mix of theory classes and hands-on practice the graduates of the program will be able to operate a wide range of equipment. These skills are supplemented with math, print reading, soil studies, and finishing/grading procedures. 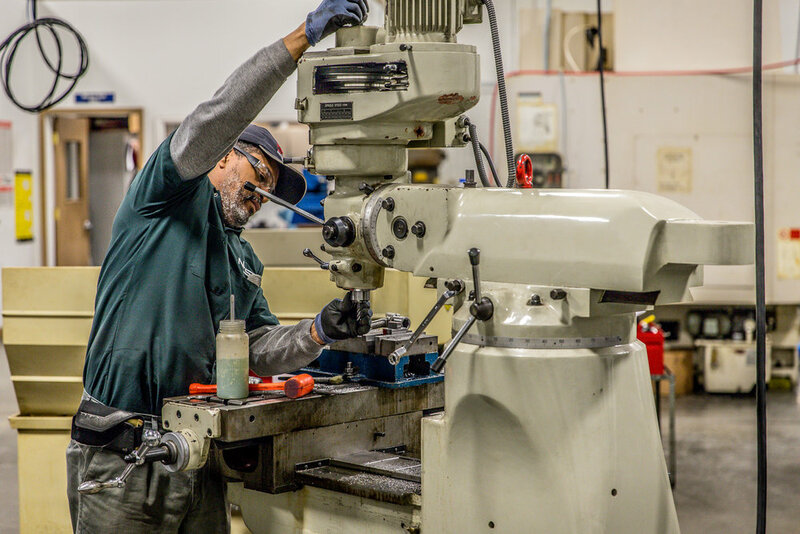 Students will acquire skills in the areas of commercial and industrial electricity, PLC’s, welding, pneumatics, hydraulics, gaskets/seals, bearings, pumps, valves, plumbing, equipment maintenance, and forklift operation. Students will also be trained in safety procedures and be familiar with tools used in an industrial setting. Students will acquire skills in the areas of commercial and industrial electricity, welding, HVAC, pneumatics, hydraulics, gaskets/seals, pumps, plumbing, equipment maintenance, forklift operation, wind power generation and solar power. Students will also be trained in safety procedures and be familiar with tools used in an industrial setting. 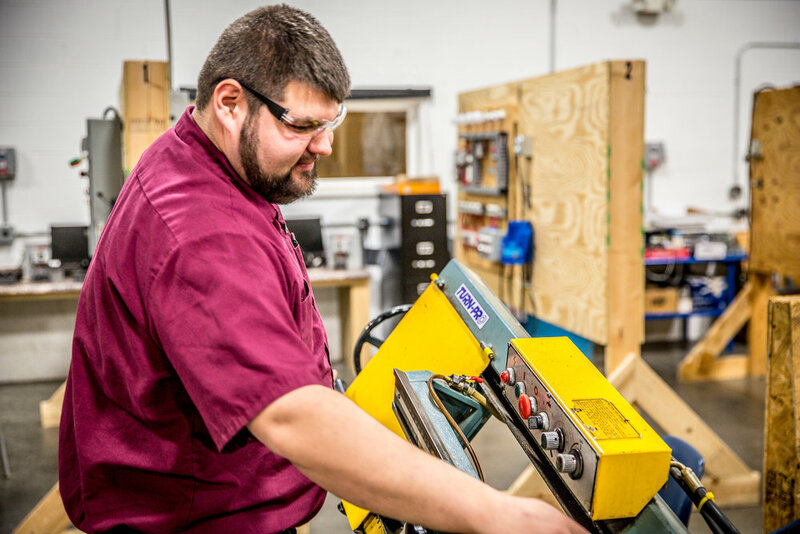 The Machinist Technology program is geared to provide the beginning machinist with the abilities, skills and techniques for entry-level positions in the field of machine trades. 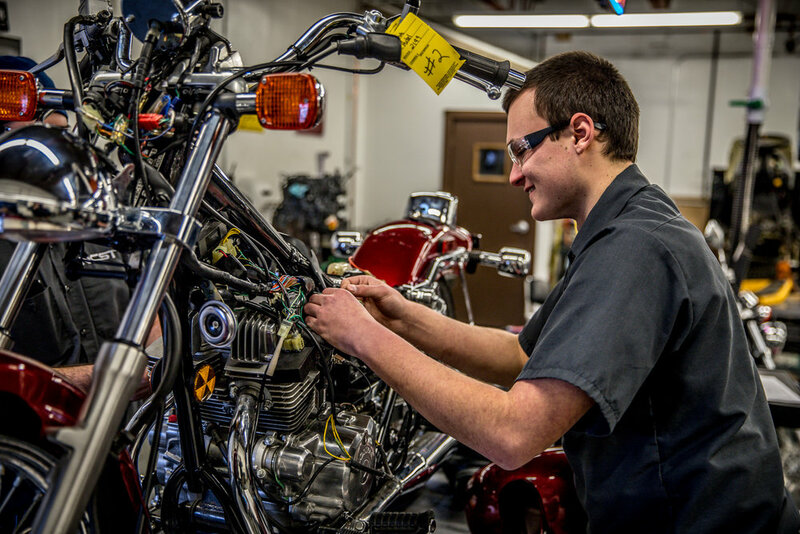 Students will be exposed to a combination of classroom theory and “hands-on” projects that will enable them to quickly develop the skills needed in the machine trades field. This program is designed to provide students with the entry level knowledge and skills to install and repair: heating, air conditioning and commercial/residential refrigeration equipment. The program covers in practice and theory the electrical requirements from power sources to circuits, diagnosing, troubleshooting, and installation of RHVAC equipment and systems including ductwork and sheet metal fabrication.